This partnership gives Nextech customers access to Luma Health’s innovative capabilities, including Smart Conversations with patients, Intelligent Scheduling and automated Referral Management. 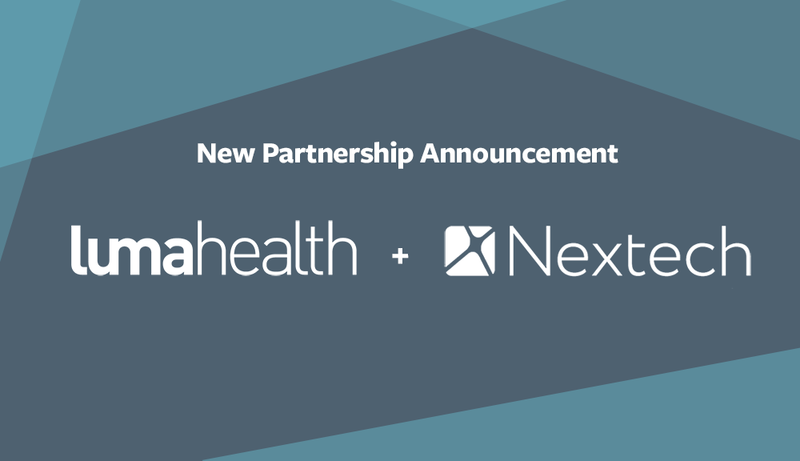 Luma Health, the leader in patient engagement, today announced a new partnership with Nextech Systems, a leading healthcare technology provider for specialty physician practices. Under the partnership, Nextech’s network of clients can now utilize Luma Health’s patient engagement platform to better engage their patients in their own care while freeing physicians to spend more quality time administering care. All of Nextech’s specialty medical practices – including ophthalmology, dermatology, plastic surgery and orthopedics – will have the ability to rely on Luma Health to manage engagement across the patient journey, including intelligent scheduling, automated referral management, mobile-first patient communications, reputation management and virtual collaboration with other physicians. Luma Health’s patient engagement platform will help Nextech customers optimize the patient experience, ultimately improving outcomes and maximizing revenue.